Discussion in 'General PS3 Discussion' started by jacobsson, Nov 5, 2018. IIRC habib added to Cobra 7.5 an option to use PS2 Netemu on backward compatible consoles. Alternatively you can include the tag [netemu] in the file name. The tag must be in lower case. Wow Aldo, I used your tools so many times! I think it might have been unclear of what I try to do, sorry about that. My goal is run PS2 games from XMB while using GXEMU (not NETEMU) in order to keep USB support during PS2 emulation. Mounting ISOs via webman uses GXEMU = USB works perfectly! 1. Is there any chance I could do something similar to emu=ps2_gxemu.self for PS2 Classics? 2. 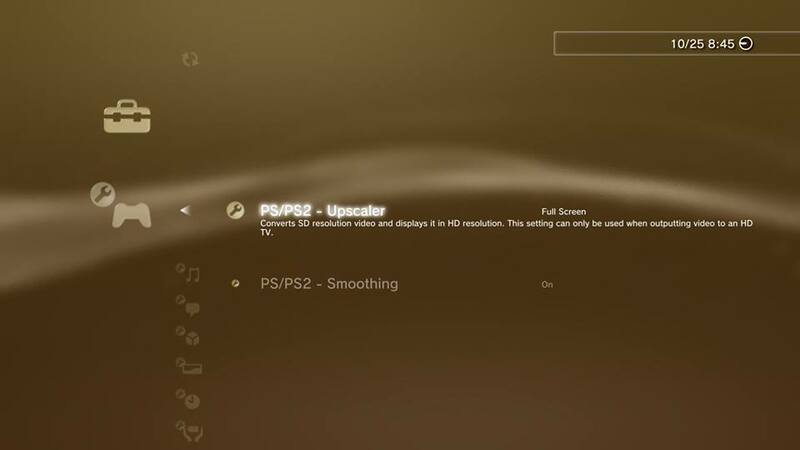 Maybe there is a possibility to make your lastGame Customizer work in order to run PS2 ISOs on REBUG 4.82.2? Maybe you should try creating a custom PKG using webMAN URL Launcher. Also you need to edit the title id of PARAM.SFO to avoid conflict with PKGLAUNCH. I think it is not required, but you may need to resign the npdrm EBOOT.BIN with the proper content ID too. BTW ?emu=ps2_gxemu.self does not exist in wMM because that is the default emu used on semi-B/W consoles when you mount a PS2 ISO without the ?emu= .parameter. That makes a lot of sense, thank you so much for the detailed explanation! I guess my only shot now (besides waiting for a future Managunz) is to try the 'webMAN URL Launcher' proposed by @aldostools above. I'll report back to you guys! It still needs to be started manually from the icon though. Any idea how make it autostart as regular ISOs does from webman? Maybe it lacks the delay fix in 1.45.00 somehow? Do you think this particular method of sending commands lacks the delay fix mentioned in 1.45.00? The launcher is basically an interface that sends the command found in launch.txt to wMM via an http call using the port 80. So it should act the same as when you mount the game from the browser using a web command. Hmmm the first 4 commands above are supposed to work... As I commented earlier I don't have access to my console, which makes me difficult to continue supporting you with this issue. One last thing that you could try is removing the tag [auto] from the file name and use L2+START to launch the game or hold L2 while launching the game. This would have been the last piece of the puzzle, but it was worth a try at least! If you ever feel like debugging it please let me know. I appreciate all the help and software utils over the year, epic stuff! I understand if you don't want to pursue this issue above, you mentioned you didn't have access to a debug unit no longer. My question is if your PS3 Web debugger could help my find some answers to this issue? If so maybe you could share some tips. I guess the content id of the EBOOT needs to be resigned somehow in order to have multiple webman-iso-packages on the XMB? That's the only thing missing for me right now. aldostools and kozarovv like this. I think it's a great find and collaboration from all people involved! I think this topic deserves an own thread. If you have any simplifying steps or improvements to this method (which is a bit tedious), it'd much appreciated! i also have cech c (never ylod or rlod,just broken bd drive) and for couple of weeks can't force it to use gxemu no matter what i do. i've tried with multiple cfw's (what i could find that is patched for noBD) and only way i can make ps2 games to work is through 4.82 rebug series and cobra emu toggled on in toolbox or forcing softemu. so my question is what cfw and rebug toolbox should i use to be able to launch iso's with original gxemu?i don't care what laucher/plugin must use to be able to mount it. Yeah, I've tested disconnecting my BD drive and I can confirm that the PS2_gxemu stops working, so I guess a noBD firmware is needed to circumvent this problem. Regarding the choice of ps2-emu in the rebug toolbox, this one is a bit weird to me. On my first CECHC it says original (works as intended with GXEMU as preferred emu) and my second unit says Cobra (also works as intended with GXEMU as preferred emu). I noticed these can't be toggled as well. I hope this helps somewhat with your troubleshooting. Yes, when booting into any PS2 emu -version you'll lose controller connection, it's all good. Does it still look muddy? I'm trying to find a specific game that you could test that only works good on PS2_GXEMU, I'll update you if I find something (if you don't happen to have Buzz-controllers and a PS2 Buzz game ISO?). i could swear on my life that i didn't lose controller connection before accidentaly forcing softemu on rebug toolbox...after that i did several reflashes,restores,various cfw and even changed hdd...and only on 4.82.2 rebug rex noBD with cobra i can launch PS2 iso,if i delete toolbox or flash non cobra cfw i can't boot any PS2 iso (tried with irisman,multiman and managunz). currently i have Silent Hill 2,3,4,manhunt and haunting ground backups (from my own PS2 retail discs). all options in system menu and in game menu work,when turning off smoothing game does look sharper but i did play SH2 before all this and could swear that on the same TV and same settings picture looks muddier after forcing softemu.